We are working closely with our local farmers and are blessed with incredible quality right on our doorstep in Strathaven. St Brides Farm is a small family run business by Robert and AJ who breed slow-growing, flavourful birds, which we are delighted to be able to offer to our guests. 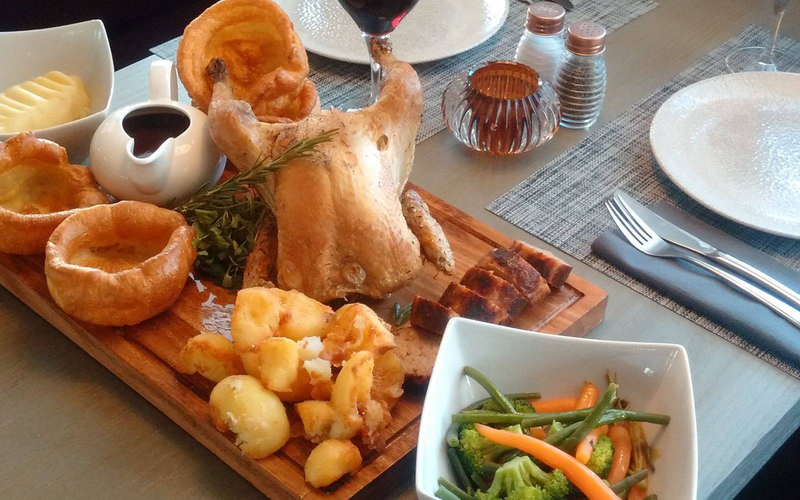 Our roast chicken dinners are deal for families or groups of friends. Sit back, relax and let us do the cooking so you can simply enjoy your time together. ST BRIDES CHICKEN (1.8 – 2kg) – £14.50 per adult and £7.25 per child. 1 bird is suitable for 4 people. Served with our homemade stuffing, Yorkshire puddings, vegetables, roast potatoes, mashed potatoes and gravy. Smaller birds can be arranged. Pre-booked tables only (48 hours notice required).